It would be criminal to deny the influence Spielberg has had on cinema, but my loyal compatriot Hawk said it best, "at some point we all out grow Spielberg." He is probably the first director I knew by name and his films peppered my childhood with joy and awe and films like Close Encounters and Jurassic Park are just brilliant films that put most blockbusters today to shame, at some point he kinda just got stuck at being good. I'm not sure if I outright dislike any of his films, Ryan has an amazing opening sequence which is horribly bookended by an old Matt Damon. Minority Report, Munich, Catch me if you Can were all fine films that I'll probably revisit but never anything more than that. That energy and sense of discovery and awe that was present in his early work has disappeared. Even the latest Indy felt like Indy didn't care about exploring, he knew what to do and he did it. So seeing Tin Tin felt fresh, like he was trying something new, that exuberance that permeated the screen in his early work was just at the edge of that film, and while I don't think he was able to match his early work it was great to see him exploring the craft and to feel his excitement. 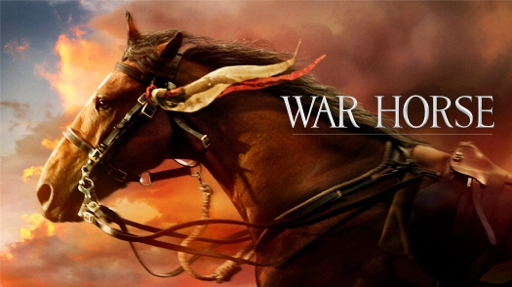 Long intro I know, but this brings us to War Horse, a film quite literally about a horse in World War 1. While the film was actually more engaging than I thought it would be, and overall a good movie, it still felt like Spielberg doing Spielberg, and ultimately that creates a lack of excitement. First and foremost this is a story about a horse, from the start the horse is the star, and to be honest he earns it. The horse is given a personality and feelings, you feel his worry when one of his "friend" horses is in danger. 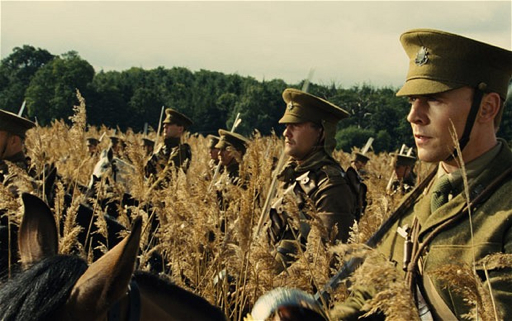 I would even go so far as to say that the story with Albert is little more than a larger subplot in a film filled with small stories of who the horse has touched. The film definitely gets a little over sentimental, but I never felt like it was pandering. We never get anything close to the famous line from Hook, "he's just a mean old man without a mommy. 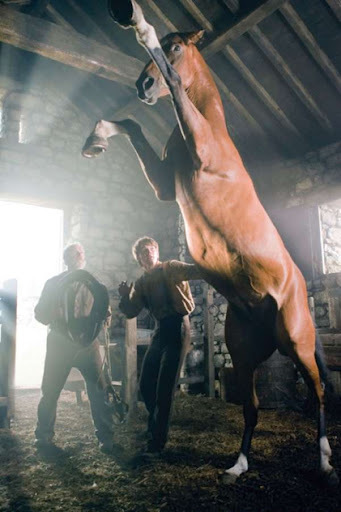 The horse just manages to evoke all these emotions in every life he touches, and that is handled with a light hand, but successful nonetheless. Emily Watson and Peter Mullan really deliver amazing performances as the parents of Albert, the boy who trains the horse. The rest of the cast is fine, with Hiddleston and Cumberbatch having all too short supporting roles. The rest of the cast is relatively unknown and deliver fine performances. I do like the French grandfather quite a bit. Kaminski can sure make a movie look pretty. Here he is given the chance to shoot sweeping landscapes and war torn Europe. My favorite scenes are easily those on the front line. 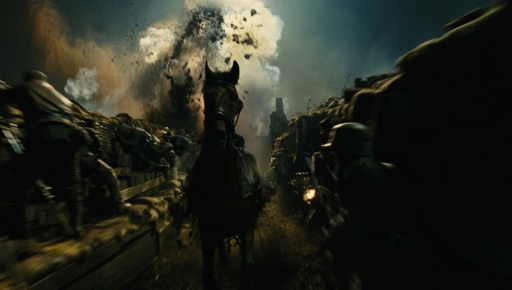 Kaminski does very dramatic lighting with mortars lighting up the night sky and he constantly puts the horse front and center not hiding from the fact this is his film. Again though, you watch it and it's not that he's rehashing Ryan, but you feel like you low Spielberg can do this already. You get the feeling of effortlessness and not in a good way. I know it might sound negative, but it is a good film, it's just almost expected from Spielberg. Scorsese is still being Scorsese but he's updating himself. You look at The Departed and you can see how his "gangster" movies have evolved from Goodfellas. And Hugo is just a complete departure. I would love to see this kind of evolution and experimenting from Spielberg. I want him to capture my imagination again. I want to see his excitement drip off the screen. That being said I am excited about Lincoln, and Robocalypse sounds like it could be bombastic fun. One last thought - Tin Tin for the win.